My successful way of giving raw veggies to kids . This small bite is crispy with fresh veggies and boiled egg , also whole meal for kids. Ready to eat 10 minutes . Use more veggies depending on what your kids like . 1. Mix cabbage and carrot with mayonise. 2. 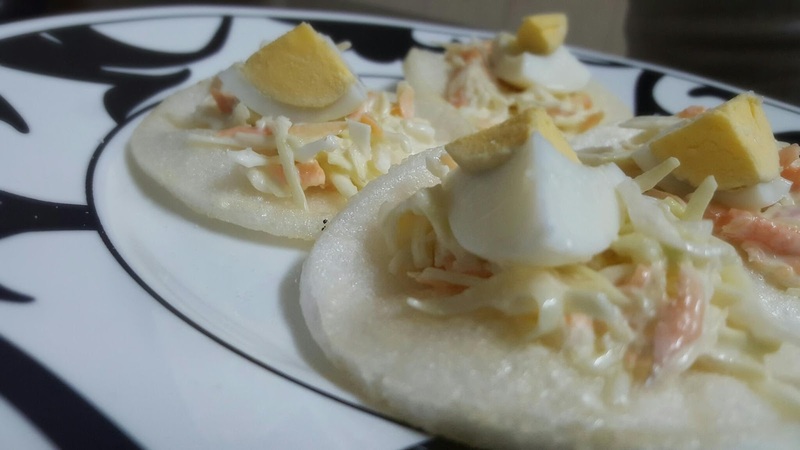 Cut boiled egg into eatable bites . 3. Fry prawn crispy in hot vegetable oil . 4. Take 1 or 2 tsp of veg mix and put on top of one crispy prawn. Put a slice of egg . Sprinkle some salt and pepper.